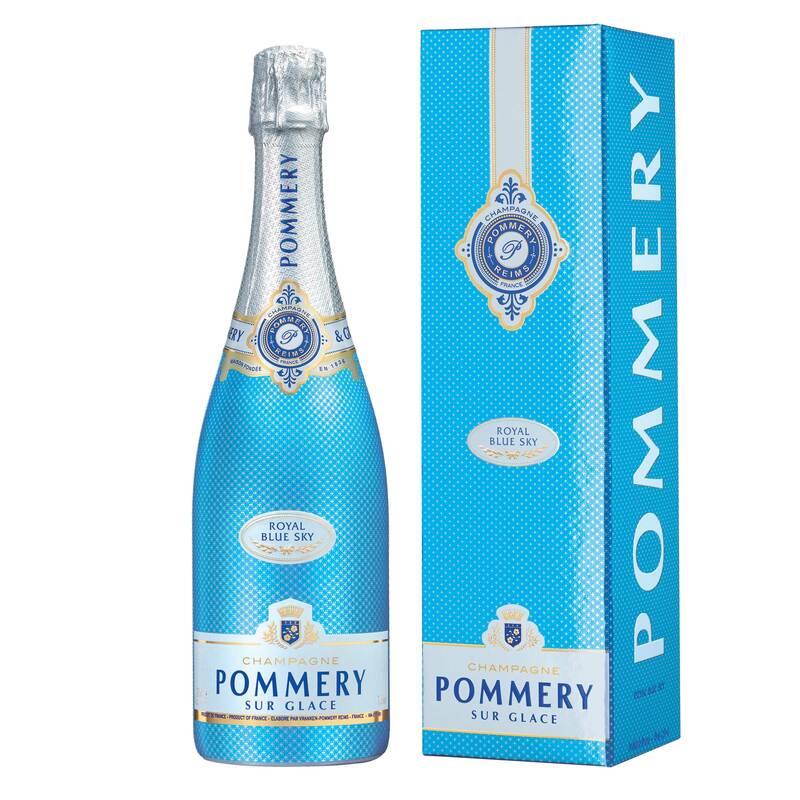 The fruit of a new Pommery experience, a traditional champagne-based assemblage, where Pinot Noir, Pinot Meunier and Chardonnay, blended with the sugar, open up towards a happy moment. An intense savour which will surprise fi rst of all through its richness before freeing an invigorating freshness. Royal Blue Sky has a new nose which evolves towards fruits, travelling and memories. Engoy over Ice! Pommery created Royal Blue Sky. The sky has no limit.